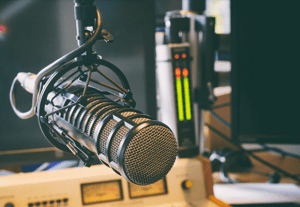 KAUS-AM serves greater Mower County, Minnesota with local news, weather, and sports. Listen for local news updates twice every hour all week, and reports from FOX News Radio around the clock. Our 24/7 weather forecasts represent the standard over-the-air reporting in Austin, with information directly from the National Weather Service. KAUS is proud to carry every Austin High School football and boys basketball, Minnesota Twins, Minnesota Golden Gopher football and basketball games. Also, listen for select Austin Bruins and Minnesota Wild games. Our transmitter site is adjacent to our studios south of Austin. Originally, we began broadcasting with the call letters of KAAL and housed the earliest incarnation of the television station known today as KAAL (formerly KAUS-TV) in our rural Austin studios. Our initial broadcast was coverage of the Indianapolis 500 on Sunday May 30th, 1948.